My debut steampunk novel To Rule the Skies is now available! Professor Nicodemus Boffin, late of the University of Edinburgh and protégé of the great Michael Faraday, serves as the Scientist General of a semi-secret British institute to further scientific knowledge and technological advancement for Queen, Country, and Empire. Boffin and his crew travel the world aboard their advanced airship Flamel on a voyage of discovery. In desperate times, however, Flamel is called upon to perform “extraordinary duties”. Boffin is tasked to search for the cause of the sinking of HMS Bellerophon, the Royal Navy’s flagship which was carrying a secret shipment from the Canadian Colonies to London. He must uncover who or what is behind the disaster before tensions between long-time transatlantic enemies, Britain and the United States, bring the two nations over the brink to all-out war. 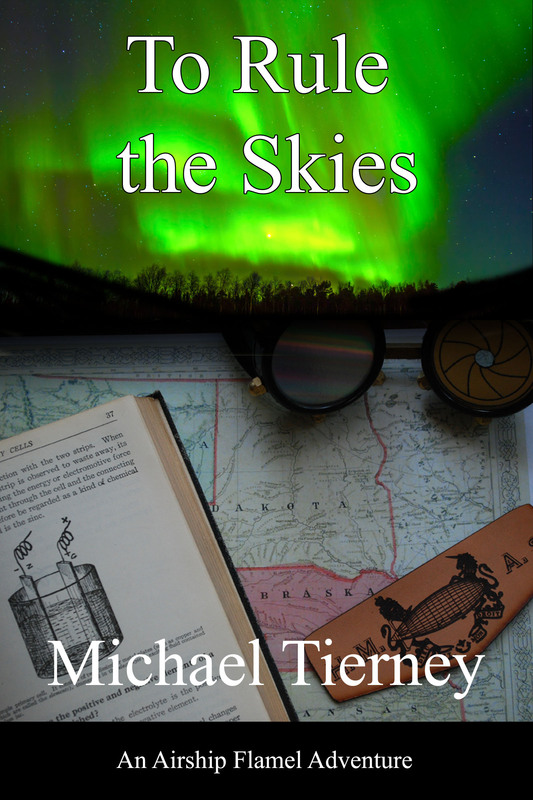 To Rule the Skies is available at Amazon in paperback and for the Kindle, iTunes for iBook, and Smashwords in many ebook formats.